The OECD provides a forum in which governments can work together to share experiences and seek solutions to common problems. The OECD works with governments to understand what drives economic, social and environmental change. The International Engineering Alliance (IEA) is a global not-for-profit organisation, which comprises members from 36 jurisdictions within 27 countries, across seven international agreements. These international agreements govern the recognition of engineering educational qualifications and professional competence. Raise awareness – of the importance of accreditation. Build commitment – for the development of national bodies. Build capacity – of national bodies to prepare for IEA mentoring. Support national bodies – to join the IEA accords and agreements. WFEO is a partner in the ISO 37001 anti-bribery management systems standard project and plays a special role by being a liaison organization to the ISO project committee and by providing a chair of the drafting committee. ICEE is a UNESCO Category 2 Centre based in Tsinghua University, Beijing, to improve standards and capacity building in engineering education. In March 2018, during the 50th Anniversary Celebrations, the International Centre for Engineering Education and the World Federation of Engineering Organizations signed a Cooperation agreement. ISTIC is a UNESCO Category 2 Centre based in Kuala Lumpur, to progress South-South co-operation in engineering education. In March 2018, during the 50th Anniversary Celebration, the International Science Technology and Innovation Centre and the World Federation of Engineering Organizations signed a Cooperation agreement. IFEES is an international society to progress standards in engineering education and capacity building worldwide. IFEES is proud to be leading the effort in connecting the world’s engineering education societies and leveraging our members’ collective strengths in order to improve engineering education worldwide. In March 2018, during the 50th Anniversary Celebration, the International Federation of Engineering Education Societies and the World Federation of Engineering Organizations signed a Cooperation agreement. In March 2018, during the 50th Anniversary Celebration, the Federation of International Consulting Engineers and the World Federation of Engineering Organizations signed a Cooperation agreement. 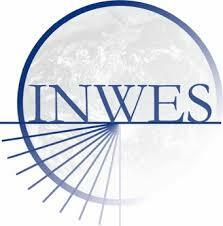 INWES is a global network of organizations of women in Science, Technology, Engineering and Mathematics (STEM), reaching over 60 countries worldwide. It is a not-for-profit corporation governed by a board of directors, composed by representatives of organizations, corporations, universities or institutions, and individual memberships. In March 2018, during the 50th Anniversary Celebration, the International Network for Women Engineers and Scientists and the World Federation of Engineering Organizations signed a Cooperation agreement.